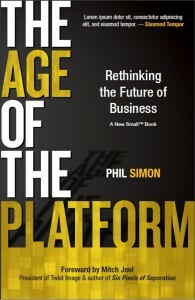 Phil Simon describes his new book – due out in September, 2011 – The Age Of The Platform, as more of a management book than a technology book. The book launches forth in a study of The Gang of Four: Amazon, Google, Apple and Facebook. But solopreneurs and small business owners should not think this is a book about BIG business. It’s a study of these big enterprises and small businesses who have found ways to create dynamic, high performing platforms. Every endeavor that requires an audience, customers or attention needs an effective platform. 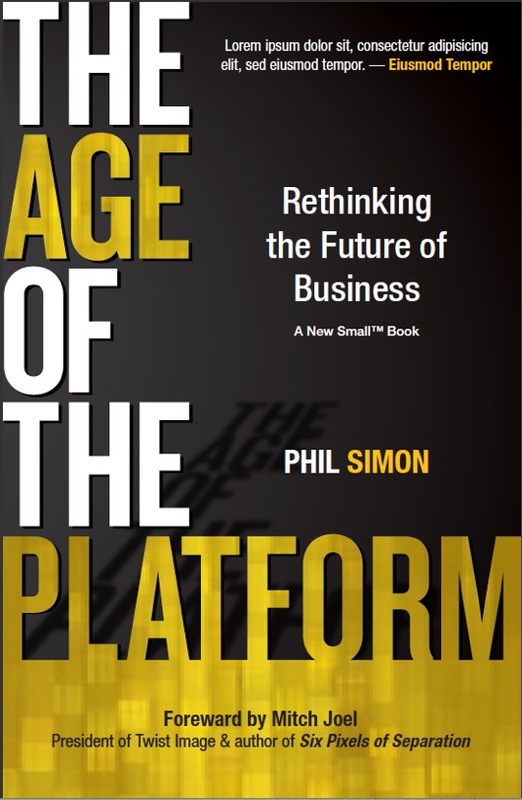 Phil’s new book is intended to help us better think about crafting our own. I caught up with Phil Simon on Friday afternoon, July 22nd. 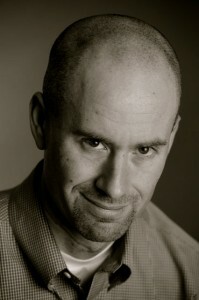 I hope you’ll visit his KickStarter campaign to raise money for publishing The Age Of The Platform. Go to the KickStarter campaign right now and contribute to the cause. The campaign ends August 21st. You should also visit the website for his previous book, released just late last year, The New Small. We spoke with Phil in January about that book. You can listen to that episode here. At his blog he’s taking a poll on the cover design – more crowd sourcing brilliance from Phil. Visit this link and cast your vote. Enjoy my half hour conversation with Phil Simon. Previous post: Does Feedback Determine Your Direction?